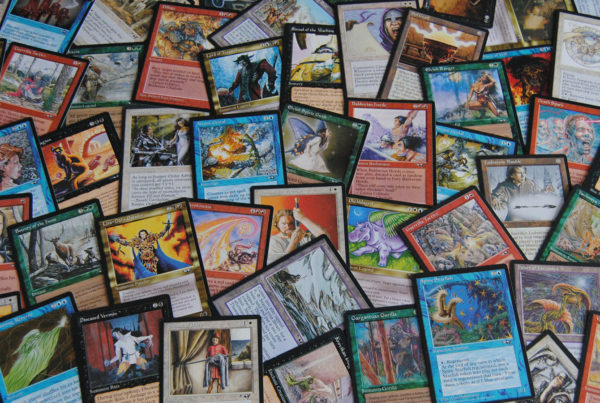 The humble traditional card deck is almost infinitely versatile. Using this (usually) 52-card set, you can create almost any game rules you want. From the single-player game of solitaire to the chess-level strategy of bridge, there’s something for just about anyone. For me, however, the king of all card games has to be Texas hold ‘em poker. You might have seen it played on ESPN or advertised all over the place. Hold ‘em poker is huge all over the world, but there are very good reasons for it. In this article I am going to make it my mission to convince you that hold ‘em poker is a game that every traditional card game fan should learn. If you’ve avoided hold ‘em poker because it seems seedy or too confusing, this is the article for you. In order to understand what makes Texas hold ‘em poker so special, we have to briefly look at the game it is derived from. That’s five-card draw poker, and here are the basic rules. All poker variants use the core concept of card hand ranks. A poker “hand” consists of five cards. The player who presents the strongest hand at the end of a round wins that round. To give you an idea, the odds of getting a Royal Flush is 649,739:1. A straight flush occurring has odds of 72,192:1. The chances of getting three-of-a-kind is 46.3:1. You get the picture, I’m sure. In traditional poker games each player is dealt at least enough cards to form a complete hand of their own. In five-card draw, each player is dealt five cards face-down, usually after some sort of initial betting to establish the “pot”. Players look at the hand they have been dealt and then decide if they want to bow out, forfeiting any money they’ve put in the pot so far, or pay the next round’s bet to stay in the game. Players can discard any cards they don’t want from their hand. New cards are dealt and hopefully they will improve the hand. If there’s more than one player still in the game by the final round everyone shows their cards. The person with the highest hand takes the pot. The biggest difference with hold ‘em poker is that each player does not get an entire five-card hand to themselves. Instead, each person only gets two cards, known as the “hole” cards. The rest of the hand must be made up through five community cards that are revealed in phases in the middle of the table. Whichever player can form the highest five-card hand using their own two cards and the cards on the table will win the round. Why is this so special? It all has to do with how much of poker is simply down to the luck of the draw. 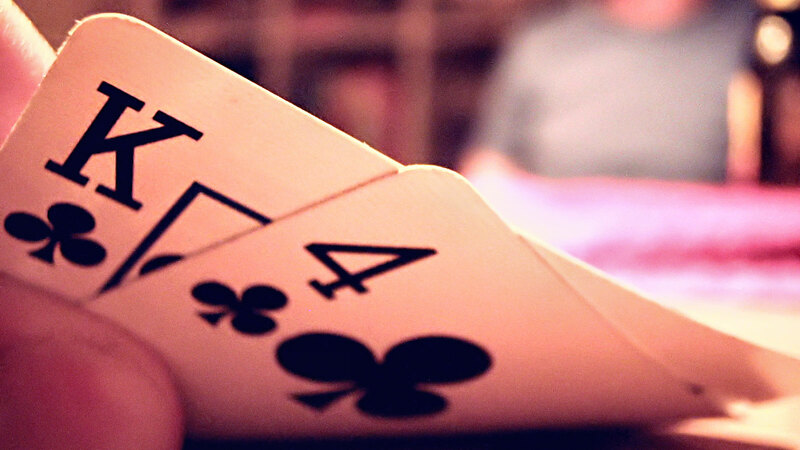 With a five-card draw you don’t have a lot of information about who might have what hand. Each person literally keeps their cards close to their chests. You don’t get to see which cards they have discarded. Which means you have to make betting decisions based on two main sources of info. You know how strong your hand is and what the chances are that it will be the winning hand. You also know how other players are betting and can try to infer how strong their hands are based on that. All forms of poker rely on skills called “bluffing” and having a “poker face”. In other words, some players with weak hands might act or bet in such a way to make other players think they have a very strong hand. You also don’t want other players to see excitement or disappointment on your face, while at the same time you try to read it in theirs. Five-card draw is still a great game, but who wins and who loses is still largely determined by the luck of the draw. Since hold ‘em poker provides players with so much more when it comes to information, the type of game it is changes dramatically. This is the key factor that makes hold ‘em so compelling. That’s the crux of the argument. Hold ‘em is NOT a game of chance. While who wins or loses a particular round of hold ‘em poker is largely up to chance, who wins over 100 or 1000 rounds is almost certainly a matter of skill. A keen mind for probability or simply a chess grandmaster’s memory will see you consistently win over time. That’s why it’s possible to be a professional hold ‘em player, but not a professional five-card poker player. If you are the best, you will inevitably rise to the top of the game. Establishing that this is a game of skill is key to understanding why it’s such a great game, but that’s not all. As with other forms of poker, you can’t just rely on the statistics to help you win more rounds than you lose. 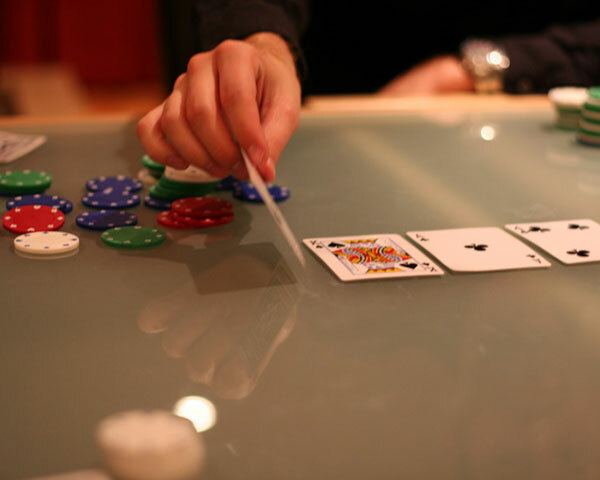 Hold ‘em has a relatively large number of maximum players – as many as ten to a table. This means you can use all sorts of aspects of the game to influence your strategy. The behavior of everyone who has made a bet before you is a valuable one. Facial expressions, comments, and other human ticks and traits also give you more information about who is holding what. You can add all this information to the cards that you have in your hand as well as the cards on the table to form a very strong sense of where you stand. Then you have to take the long-term strategy of the entire game into account, as well as the personalities and motivations of those around the table. This makes for a very exciting, tense and stimulating game. There really isn’t anything like it in the world of traditional card games. While plenty of people of people associate poker with gambling, there is absolutely no need to play the game for real money. After all, you could just as easily replace the money used in monopoly with real money and raise the same criticism. 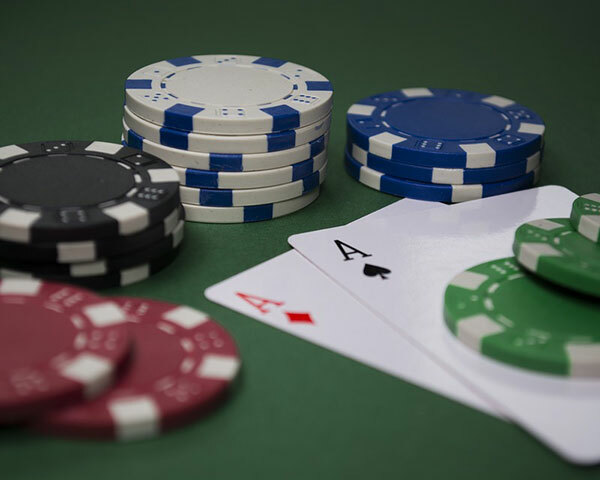 When you buy a poker set for your home, it will come with plastic chips in various colors. These represent money values, the same as they do in an actual casino. You can play with the chips just fine without anyone expecting to cash them in! That being said, a hold’em game with no stakes at all feels very different from one with even a little bit of money on the line. You can play so-called “penny-ante” games where it’s basically small change. This is better than playing for no money at all, in my opinion, and is the style preferred by old folks and kids. If you want to have a proper poker night with your friends with some real stakes, then you best bet is to follow the same route as poker tournaments and have a “buy in” price. Let’s look at how that works. One of the best things about playing Texas hold’em as a competitive game is that you can precisely control how much money is at stake. Both single games and entire tournaments have something called a “buy in”. That’s the amount you need to pony up to get a seat at the table. In a single game around a single table, you can cash out whenever you want to. Take your winnings and go. In a tournament that fee is gone immediately. That’s because you’ve basically paid an entry fee. You are in the game until you go bust. No one gets to cash out at all. If you walk away before you lose, you walk away with nothing. The idea in a poker tournament is to place in the top positions. There are fixed amounts to win based on where you finish. Everyone who places below the top positions goes home with nothing but memories. This is great, because you know up front exactly how much money you are set to lose. Winning a prize is great, but the thrill of playing is worth the price of admission. This makes a hold’em poker tournament no different from, say, a Magic The Gathering tournament. Everyone pays their fees and only the top players get a prize. Some competitions let you buy in again once or twice if you go bust early in the game, but there is a limit. There is no such limit when buying a spot at the table in a casino. That’s where the main danger lies and where you need to exercise self-control. While I haven’t gone to the trouble of outlining all the rules of hold’em poker in this article, you should know that it’s a very easy game to learn. Mastering it is, of course, tough as nails, but the actual process of play is pretty simple. The main reason that I don’t want to dump the ruleset here is because there are so many fantastic poker “schools” online. YouTube videos explaining the basics and advanced aspects of play are all over the show. The game is also incredibly popular online in digital format. So if you want to learn the mechanics of the game you don’t even have to spend money. Just sign up for one of the free poker games online and play the practice mode. No money is involved at all. You can also often play against other humans for no money as well. Online poker played for money is, of course, also very popular. Plenty of people win big in these online casinos. However, personally I would never trade playing this game online for playing it in person with other people. That’s because so much of what makes hold’em poker special comes from playing face-to-face. 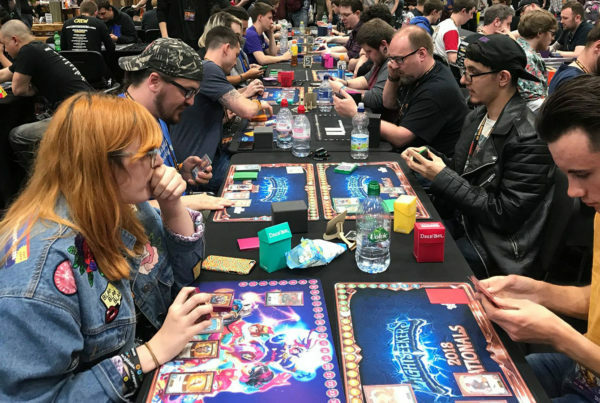 If you’ve always loved tabletop games, but gave hold’em poker a pass for whatever reason, I hope this article makes you reconsider your stance. The game has a lot to offer, and for the best of the best can even be a career. Few games can boast that status and hold’em poker deserves it 100%. 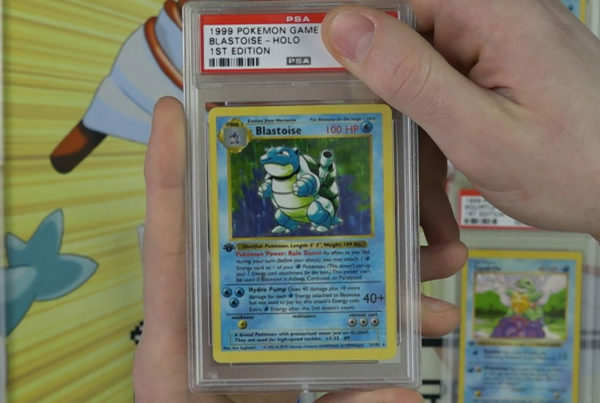 Playing for Real: How Do TCG Tournaments Work?